A: This tastes a little different form Sarah's. Did you follow her recipe exactly? B: No. I cut a few of the ingredients out. A: Carly makes the best German chocolate cake! B: I agree, but unfortunately, she won't give me her recipe. She says it's a family secret. A: I'm really sorry. 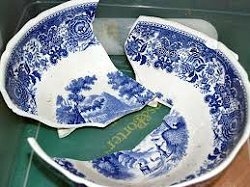 I broke your favorite dish. B: It's OK as long as you didn't hurt yourself. A: What chore do you hate the most? 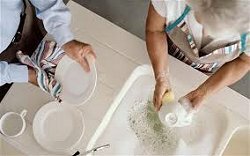 B: I hate doing the dishes!